Ketamine is a popular club drug that is commonly used by young adults and teens. 1 Ketamine is similar in composition to PCP and places users in a dissociative emotional state, also known as an out-of-body state. 2 Ketamine recovery centers specialize in providing treatment services to individuals who have become addicted. 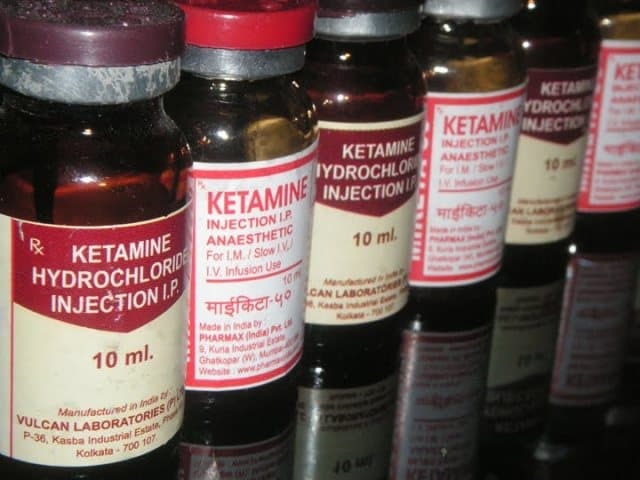 Ketamine use may also result in respiratory depression and impaired vision. The Center for Substance Abuse Research further reports that the addictive potential of this drug is quite high . 3 Addiction can occur rapidly with this drug. As the individual uses more and more of the drug, a strong tolerance may develop, leading to even larger doses. 3If you believe that you or someone close to you may be addicted to Ketamine, it is important to seek help now. Please do not delay in contacting us at 1-888-319-2606 Who Answers? . Many Ketamine treatment center options are available. Individuals and their families choose residential Ketamine rehabilitation programs to help safely expel the drug from the body. One of the benefits of a residential treatment program is that it gets you out of your current environment, which may be helping to foster the addiction, and into a treatment facility that is medically supervised. This will allow you to go through the detoxification process in a safe manner. If you are considering a residential Ketamine recovery center, it is important to ask questions about the way in which detoxification will be handled. Many treatment facilities are able to provide medication that can be beneficial in controlling the withdrawal symptoms you or your loved one may experience during detox. The goal of detox, sometimes referred to as a transition stage, is to make sure the individual is as comfortable as possible. In addition, it is important to make certain that the Ketamine treatment facility you choose will be able to provide important emotional support during this critical time. In order to provide this type of support, a recovery center should be staffed with medical personnel and psychologists who understand addiction and who are trained in addiction treatment services. 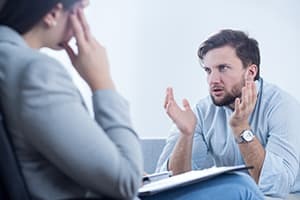 Other types of treatment services may also be available at the Ketamine rehabilitation program you choose, including group and individual behavior therapy. For instance, a psychologist may be able to help you or your loved one in identifying how abuse of this drug first began. Once the underlying issues have been revealed, patients may also be provided with other services that can help them to avoid relapse in the future. Patients may be taught time management skills and how to cope with peer pressure. Many recovery centers also help patients to explore a variety of personal interests and hobbies that can help in keeping them focused on maintaining drug-free lives when they leave recovery. If you or your loved one has special dietary requirements, it will also be important to make certain that those needs can be met. If you are diabetic, you may need to inquire as to whether the facility can provide you with a specialized menu. Many Ketamine rehabilitation centers have certified nutritionists on staff to assist patients who may suffer from nutritional deficiencies as a result of drug use. A nutritionist can help you in developing healthy eating habits, providing your body with the optimal chance for recovery as you proceed through the recovery and support program. Remember, no matter how long you or your loved one has used Ketamine or how severe the addiction may be, it is possible to recover and get sober. Call us today at 1-888-319-2606 Who Answers? to discuss treatment options. While it is always important to consider the breadth of services offered by any Ketamine treatment center, it is also imperative that you consider the availability of aftercare services. Once you leave the recovery center, you may be faced with a variety of situations that could trigger relapse. The provision of follow-up services can help you or your family member withstand those temptations and continue to abstain from drug use. In selecting an appropriate Ketamine recovery center, make it a point to choose a facility that offers continuing aftercare or extended services to assist you in your journey to full recovery.
. National Institute on Drug Abuse. Club Drugs. December 2012. http://www.drugabuse.gov/drugs-abuse/club-drugs.
. National Institute on Drug Abuse. Hallucinogens and Dissociative Drugs: From the Director. February 2015. http://www.drugabuse.gov/publications/research-reports/hallucinogens-dissociative-drugs/director.
. Center for Substance Abuse Research, University of Maryland, College Park. Ketamine. October 2013. http://www.cesar.umd.edu/cesar/drugs/ketamine.asp.
. Center for Behavioral Health Statistics and Quality, Substance Abuse and Mental Health Services Administration and RTI International. Results from the 2013 National Survey on Drug Use and Health: Detailed Tables. http://www.samhsa.gov/data/sites/default/files/NSDUH-DetTabs2013/NSDUH-DetTabs2013.htm.